This is too cute! You've portrayed the struggle perfectly! 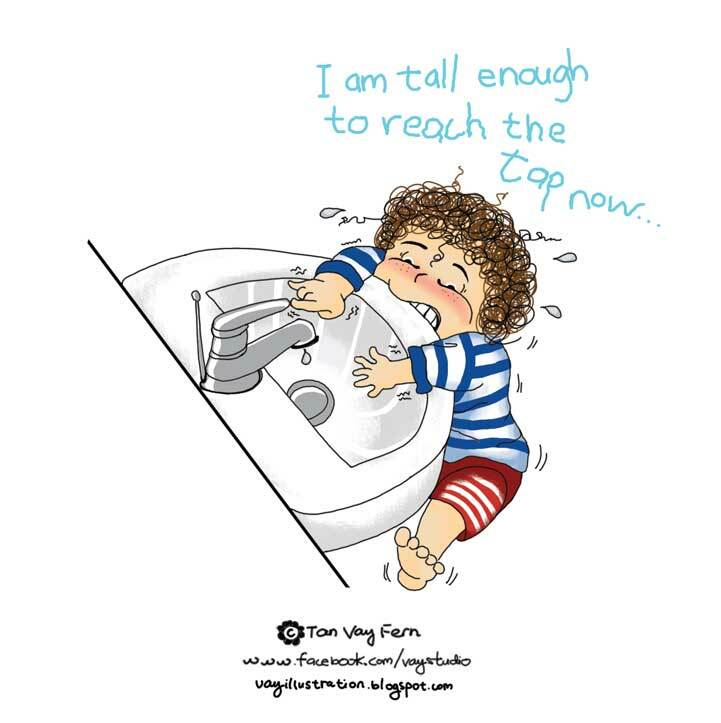 Love the little finger just touching the faucet handle! Thanks for leaving such lovely comments, Mit! Very encouraging. Have a good weekend ahead!